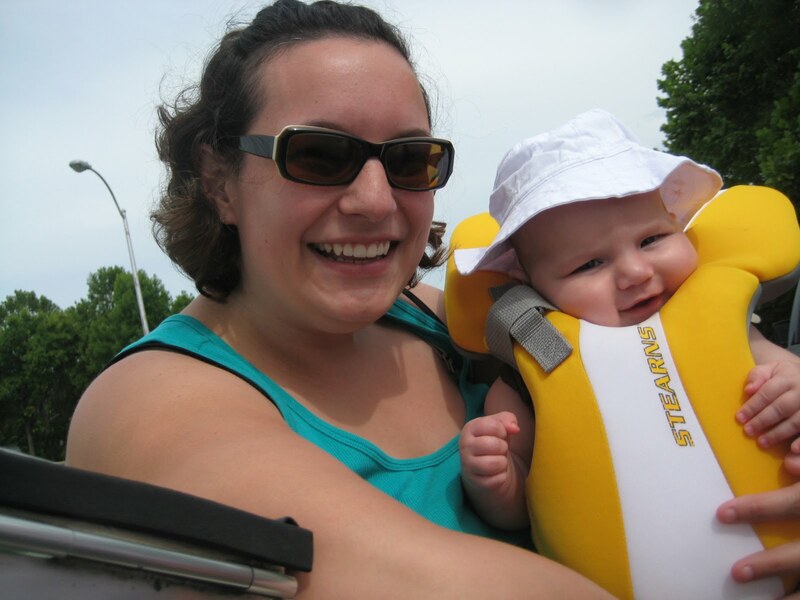 >Thea’s first boat ride…I think she liked it! 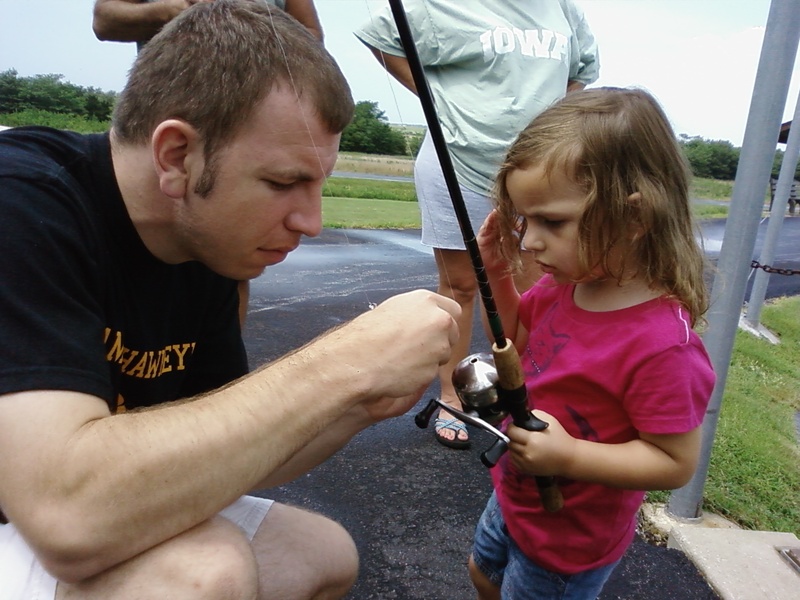 Daddy helping Leila fish…they were unsuccessful, but Leila did get to see another kid catch a cat fish. She asked me, “Can I pet it?!? !” I told her she could pet her own fish if she caught one. I am glad she didn’t catch one.